If you're looking for an SUV that's bigger than a Honda CR-V but smaller than a Dodge Durango, the 2008 Kia Sorento might suit you perfectly. Its long list of standard equipment, low base price and comfortable ride make it a good choice for the casual off-road warrior or those who keep their driving strictly on the pavement. The fit and finish of the vehicle overall is great for the price point. It is a very reliable vehicle. 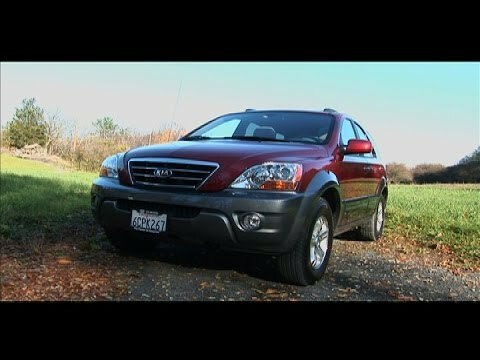 Before our family purchased it I would not have realized Kia's quality had come this far. It is an SUV and it offers a nice blend of functionality and space. The handling is average to firm. The ride height makes it more of a challenge then small car type SUVs or sedans. That can be an issue if your passengers are older or if you are fatigued. The vehicle is based around utility and not so much comfort. But it has been a good reliable vehicle. My Sorento is 10 years old and has over 130,000 miles on it. We live in a high salt usage area and there is hardly any rust on it. I have put less than $500 into this car over the last 6 years that I have owned it and most of that was routine maintenance. My favorite this about the this vehicle is that it serves as an SUV, but it is built like a truck with a solid rear axle and it will go anywhere and tow anything that a small truck will. We really like our Kia Sorento. It is a good size for a family with two young children. The height of the car helps for getting kids into car seats easily. The trunk is spacious for fitting lots of groceries and strollers. We have run into an issue with the locks on the car not working right and a few other issues. Overall though, we are happy with our Kia. Kia Motors Corporation (Kia) is recalling certain model year 2007-2010 Rondo and Sportage, model year 2007-2011 Sorento, model year 2007 Sedona, model year 2010-2011 Soul, and model year 2011 Optima vehicles. The stop lamp switch in the affected vehicles may malfunction. A malfunctioning stop lamp switch may cause the brake lights to not illuminate when the brake pedal is depressed or may cause an inability to deactivate the cruise control by depressing the brake pedal. Additionally, a malfunctioning stop lamp switch may also result in intermittent operation of the push-button start feature, affect the operation of the brake-transmission shift interlock feature preventing the shifter from being moved out of the PARK position and causing the Electronic Stability Control (ESC) malfunction light to illuminate. Failure to illuminate the stop lamps during braking or inability to disengage the cruise control could increase the risk of a crash. Additionally, when the ignition is in the 'ON' position, the transmission shifter may be able to be moved out of PARK without first applying the brake. This may lead to unintentional movement of the car which may increase the risk of a crash. Kia will send an interim notification to owners in May 2013. When parts are available, owners will receive a second notification and dealers will replace the stop lamp switch, free of charge. Owners may contact Kia at 1-800-333-4542. Kia's recall campaign number is SC098. KIA IS RECALLING CERTAIN MODEL YEAR 2007-2008 SORENTO PASSENGER CARS MANUFACTURED FROM JUNE 15, 2006 THROUGH NOVEMBER 27, 2007. THE FRONT PASSENGER AIR BAG MAY BE TURNED OFF WHEN AN ADULT IS IN THE PASSENGER SEAT. THE FRONT PASSENGER AIR BAG IS DESIGNED TO BE TURNED OFF IN LIMITED CIRCUMSTANCES INCLUDING WHEN CHILDREN AND SMALL ADULTS ARE SEATED IN THE FRONT PASSENGER SEAT, THERE IS A CHILD RESTRAINT IN THAT SEAT OR THE SEAT IS NOT OCCUPIED. THE VEHICLE'S OCCUPANT CLASSIFICATION SYSTEM (OCS), WHICH CLASSIFIES THE OCCUPANT IN THE FRONT PASSENGER SEAT, MAY MISCLASSIFY AN ADULT PASSENGER AS A CHILD OR CHILD SEAT AND IMPROPERLY TURN OFF THE PASSENGER SIDE AIR BAG. WHEN THE AIR BAG IS DEACTIVATED THE "PASSENGER AIR BAG OFF" LIGHT WILL ILLUMINATE ON THE CENTER INSTRUMENT PANEL. THE PASSENGER SIDE AIR BAG IS TURNED OFF WHEN THE OCS MISCLASSIFIES AN ADULT PASSENGER. WITH THE FRONT PASSENGER AIRBAG OFF, THE FRONT PASSENGER WILL NOT HAVE THE PROTECTION OF THE PASSENGER AIR BAGS IN SOME FRONTAL COLLISIONS, THUS INCREASING THE RISK OF OCCUPANT INJURY. KIA WILL UPDATE THE PROGRAMMING IN THE SORENTO OCS CONTROL MODULE AT NO CHARGE. THE RECALL REMEDY IS CURRENTLY AVAILABLE UNDER SERVICE CAMPAIGN SC076. OWNERS MAY CONTACT KIA CUSTOMER SERVICE AT 1-800-333-4542.